For 15 years Gloucestershire-based Giffords Circus has been touring around the South West entertaining more than 250,000 people. The troupe is heading out on its annual tour once again and will be performing at Marlborough Common over the next few days. 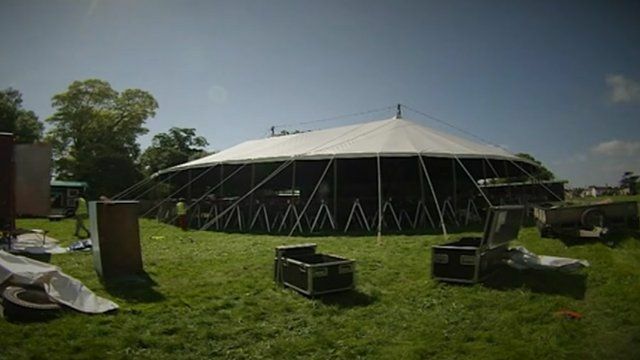 The BBC's Sarah-Jane Bungay went to visit the circus as it made its final preparations.